The Korean War seemingly ended earlier today with the stroke of a pen—far better than the alternative we had all envisioned. Meanwhile, the world isn’t quite ready to breathe a sigh of relief. Tensions on the Korean Peninsula have fluctuated wildly since the Korean People’s Army crossed the 38th Parallel in June of 1950. Open war followed, lasting until 1953, and saw catastrophic loss of life and dramatic shifts in territorial control. The eventual, fragile peace resulted in a demilitarized zone between the Republic of Korea (South Korea) and the Democratic People’s Republic of Korea (North Korea). 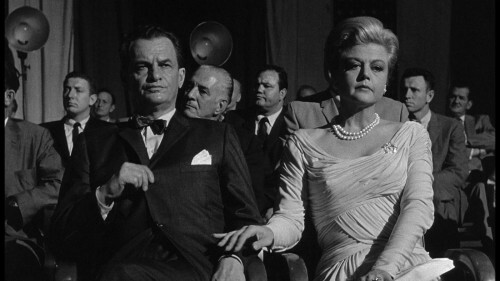 One of the lasting cultural impressions of the war was The Manchurian Candidate—Richard Condon‘s 1959 novel which was made into a Hollywood thriller in 1962, directed by John Frankenheimer and starring Frank Sinatra, Laurence Harvey, Janet Leigh, Angela Lansbury and James Gregory. Meanwhile, Sinatra’s character was part of a group of POWs, held by the North Koreans and their Soviet backers. We won’t spoil anymore here—if you haven’t seen this movie, watch it… TONIGHT. It’s a timeless classic, that sadly remains as an apt cautionary tale. As for the peace in Korea, we’ll hope that remains as well.